Last weekend on Sunday our family went to the Korkeasaari Zoo in Helsinki. People living in sunny California might be thinking, Zoo in the middle of winter in Finland, really? Yes, the Korkeasaari Zoo in Helsinki is open year round, even in the coldest of winter days when the barometer is -20 Celsius or less. We happened to go on a balmy 19 F (-7 Celsius) day, which actually wasn't all that bad. We had been to the Zoo many times before and enjoy watching the animals, but the main reason for this trip was to see the Ice Sculpting contest, "Art meets Ice". 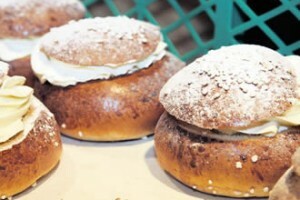 Since I have never lived in a Nordic country before, this was the first time I had seen a unique event as this one. We first looked at all the amazing finished pieces sculpted from the prior weekend. There were all sorts of interesting shapes and colors, including yellow and clear ice. Later, we ventured over to the couples competition where we saw them creating their teamwork inspired masterpieces. They were about half way into the process when we arrived. The artists used chainsaws, chisels, hand saws, and all sort of other tools to establish their creations. They even melded some pieces together to form certain types of objects. It was quite amazing watching them turn inanimate blocks of ice into wonderful pieces of art. Later the kids had their chance to be little artists in the Zoo's snow sculpting workshop. Snow is a raw material that can be used in many ways. I have been told it can be used to build playgrounds, slides or beautiful artwork to decorate your garden. The kids had a blast carving away in the snow. It was a very memorable day at the Zoo in the middle of Winter. 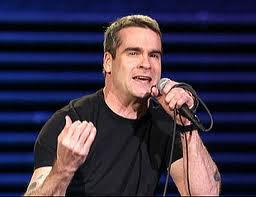 Last Wednesday night I attended a spoken word performance by an American super artist Henry Rollins. I would be surprised if you haven't heard of Henry. He has to be one of the hardest working men in the arts world. He is a singer-songwriter, spoken word artist, writer, comedian, publisher, actor and radio DJ. Those are quite some credentials, and it seems that he never slows down. 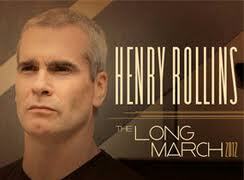 Perhaps that is the issue with Henry, he has been performing in one fashion or another for the last 30 years nonstop. He claims he is not a "workaholic", but I beg to differ. I think work keeps him sane and suppresses some earlier pain in his life. Henry is legendary in the punk rock world for his work in Black Flag in the 80s, but in my world it has been his spoken word performance that I find the most captivating. I had once seen Henry perform spoken word way back in 1993 at the Warfield Theater in San Francisco, California. However, last night almost 20 years later I had the treat of seeing Henry perform for the Finnish audience in Helsinki. 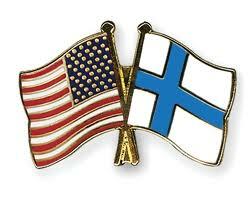 It was quite surreal to be perhaps the only American in the audience of 700 or so Finns. Henry started his show by saying a few pleasant words about Finland and it's unique geographical location in Europe and how he played several music shows in Finland when he was younger. He showed total respect for his Finnish audience this evening. He then proceeded to go on an angry rant about the "circus act" that is the Republican primary election currently going on in the United States. Later, he went on for about 20 minutes on American gluttony and the Costco shopping experience. Other topics including his stint with a National Geographic travel show which took him to India to eat rats with the locals, and how he got a tourist visa to visit North Korea. In North Korea he visited the mausoleum that displays the body of the so called "great leader" Kim Il Sung. In North Korea he ate the same food everyday while being escorted around by his Korean guides. Henry seems to have a lust for life and really enjoys visiting places off the beaten track that Americans haven't really had a chance to explore (Cuba, North Korea, Sudan, etc.) He seems to want to give "forbidden" locations a chance to see what really lies behind the iron doors. Rollins explained to the crowd that it doesn't matter what country you visit and what kind of political regime they have, people are people with thoughts and feelings just like you and me. Henry also spoke about how he really tries to personally answer each and every email or letter that he receives from his fans. He claims that he doesn't have an assistant to help him and that he takes everyone of them seriously. If that claim is true, that is definitely a rarity in the celebrity/artist world. In classic Rollin's fashion, he got pissed off in the beginning of the show when his microphone kept cutting on and off. He proceeded to taunt the sound mix guy, to which the crowd got quite a kick out of. Finally, after another 30 minutes passed, someone handed Henry a fresh microphone, he cheered up and the crowd clapped. He is definitely not one to hide his feelings and thoughts about anything; he appears to be as honest as one gets. This attitude is quite refreshing when viewed by the Finns who are sometimes known to suppress their feelings. I was quite surprised how well received the show was in Finland. Especially in light of the fact the he is rattling off non-stop in English for 3 hours straight at break neck speed. I wonder how much of his show was "lost in translation" to the Finnish crowd. Finland's command of the English language is very impressive to say the least and English is spoken and heard just about anywhere in Southern Finland. All in all, it was another great spoken word performance from one of the industry's hardest working man. The Finnish presidential elections are in full swing here in Finland. They are down to 2 candidates from the initial pool of 8 that were running. I promised myself that I would not get wrapped up in politics while living in Finland, but I must say that the political process here is quite different and more interesting from that in the United States. It seems that in the US, the candidates are running to get elected or re-elected from the day the president takes office. :) The official election process is well over a year and it appears that the candidate with the most money (PACs, Super PACs, etc.) seems to have the best chance to win. Money and advertisements are a powerful combination in the United States. Not to mention the endless amount of needless banter as witnessed by the 20+ Republican debates that seem to have been going on for months now. What did all these debates really accomplish? To me these Republican debates were downright laughable and really only provided comedians with an endless array of arsenal for their comedic war chests. In Finland, the 8 candidates are actually represented by 8 official parties and they each are allowed only one advertising sign per individual. In addition, I have not even seen many TV adds for any of the candidates during the process. I did notice a few civilized debates on the local TV though. To even compare this to a US presidential debate would be entirely out of the question. In Finland, it is not just Republicans versus Democrats like in the US, their 8 specific parties get true representation. Parties, such as the Finnish Green Party or the Perussuomalaiset "True Finns" (Finnish incarnation of the US Tea Party) actually have a voice and get to officially run in the election. I am not here to write detailed descriptions about the 8 specific political parties in Finland. If you want information about the Finnish political parties, feel free to Google them. After the first round of voting, the leading vote receiver by far was Sauli Niinistö of the National Coalition Party and the runner-up was Pekka Haavisto of the Green Party. What I have heard is that the National Coalition Party would be like the "Republican" party of Finland, but supposedly the Republican party in Finland is much more moderate than the Republican party in the USA. They probably would closer align to the United States Democratic party. 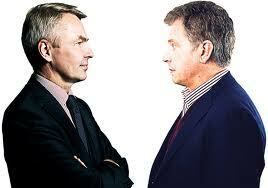 Also, Niinistö is known as being a moderate candidate even in the National Coalition Party of Finland. I find it interesting that he has even been described as being Bohemian by some people. That is definitely not a description you would typically apply to a Republican. :) Right now, Niinistö is the most popular choice and seems to be heading towards becoming the next president of Finland unless something short of a miracle happens to Pekka Haavisto. Haavisto, from the Green party is a very interesting runner-up who received more votes than the 6 other candidates. Many were surprised (probably not just in Finland) that a Green party candidate received as many votes as he did and that he even has a slim chance to become the next president of Finland. I read something on the internet that a Green party candidate has never become a leader of a nation. I guess in a nation like Finland this would be a huge achievement. I honestly don't know enough about the candidates and Finnish politics to take a side on this, but I do like the values of the Green Party and would find it interesting should the "Green" candidate claim victory. May the best man win!